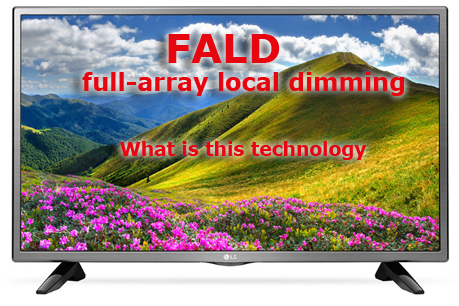 FALD — (full-array local dimming), in 2018, LG indicate one of the advantages of the TV, the availability of FALD. The advantages of this backlighting technology are the ability to apply the backlight off by sections, which makes it possible to get a deeper black color on the screen. As a rule, the backlight LEDs are assembled into groups (zones) and turn off the illumination by sections, such zones can be several dozen. But if you look at 5 years ago, the TVs with such a backlight were launched in 2012 and this technology was called Direct LED. This is a marketing move, designed to show TVs in better than competitors.